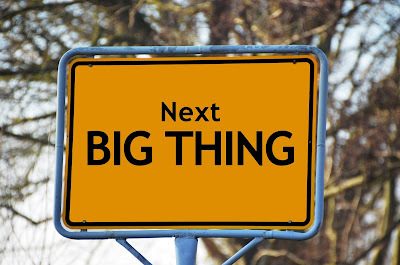 Are You Looking for The Next Big Thing? If you are in stall and spinning your wheels, I encourage you to use the power of one word to propel you forward. It does seem amazing but you can tap into the power of one word if you consistently use it. Are you ready for this word? The word is next. Speak it aloud: next. This one word is hopeful and expecting something to happen in the future. Jack Canfield and Mark Victor Hansen, co-authors for Chicken Soup for the Soul, have a story that many people have forgotten because of their success. The Chicken Soup for the Soul series is one of the most successful in the English language. Yet these books were rejected 144 times—which is more rejection than most people will take. In this rejection process, Jack and Mark learned to look at each other and say the word: next. Yes they mourned the rejection but they did not stop and kept moving ahead to the next opportunity. If you want to read Mark Victor Hansen talking about this issue, follow this link to the free sample of Jumpstart Your Publishing Dreams. Mark writes about it in the foreword to my book. For others, we get a book contract from a publisher, yet you decide the timing isn't right so you don't sign that particular contract. I understand the timing and publisher and details have to be right. I have it happen often with my work at Morgan James. We go through our internal process to evaluate a book and decide it will be right right book for the publisher (a team process). Then we issue a contract but the author doesn't sign it. I've had authors sigdn their contract years (yes years) after I've initially presented it to them. It is all about timing, passion of the author, resources,vision and other such intangibles. As someone who has been in publishing many years, I understand these intangibles but they are still frustrating. When I feel the frustration, I say to myself the single word: next. Then I move forward on something else. For other authors, their book is not selling and they wonder what to do next. I spoke with an author last week who published his book a year ago, then was plunged into a personal medical situation which prevented him from marketing and promoting his book. Now his health situation is resolved and I encouraged him to begin again. Yes he had missed the launch window for his book since it is already in the marketplace, but it is never too late to work on the promotion of your book. Next. I wrote this article to give you hope and encourage you to keep moving—in spite of the rejection and the no thank yous. If you can't write or publish in this place, look for the next opportunity. I know nothing will happen if you don't move forward, take responsibility and take action. You can do many things in the publishing world but your action will be the difference maker in this process. If I can help you in this process, my work contact information is on the bottom of the second page of this link. What steps do you take to get it done? Let me know in the comments below.